There is a new designer over at Muse. 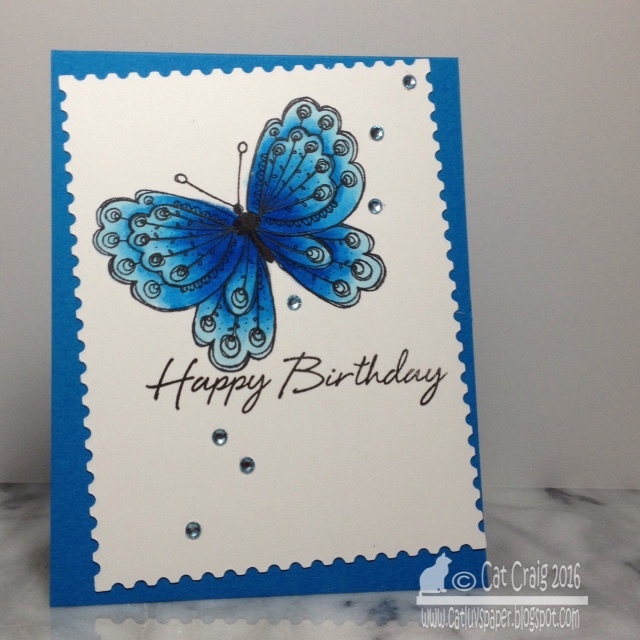 This week Jenni provides a lovely layered and softly colored card. I was inspired by the design, layers, the soft inking and the diecut image. I am unexpectedly in need of a new baby card. Being in my mid 50's without children I have very few instances for baby cards and have no baby images in my stamp stash. I really need to get Valentines made! I am trying to find the mojo to get it done. 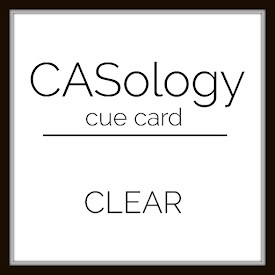 I started with this card, I used the inspiration from Casology's cue word this week. This card is for my Dad from his two adorable bundles of fun and fur Digger and Jack. They absolutely adore my Dad so this card is a perfect Valentine from them to him. These are had for me as I normally work on a card front piece that is attached to a card base, so that I don't waste a lot of card stock. So I decided on a masked card for my one layer. An old and much loved Hero Arts stamp set was used. I love this little lantern by De Nami designs, and I don't get to use it enough. 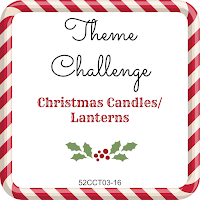 So, when the 52 Christmas Card Throwdown challenge called for candles or lanterns I was so there. I used the top row. I am sending this card to one of my gal pals just because we all need a little pink now and again. I have no umph to make Valentines - yes I know they need to be mailed soon. I also started an Online Card Class today and I am boycotting my homework...so much great fabulous information I am overwhelmed. I need to let it percolate a bit before I jump in. 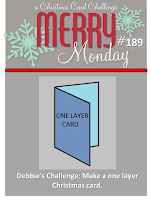 I took a look through my saved challenges and due dates and knew as soon as I saw Michele's sketch I had to make a card for Case this Sketch #156. I always seem to need a masculine card and I thought that this sketch along with a few stamps would really fit my needs. While checking out my friend Greta's blog, I came across a new to me blog, and decided to play along. I got out my Sakura water-colors and played. Since it is snowing here in Maryland tonight, I was moved to create a winter themed card. This one is going to my Dad, I try to send him a card 2-3 times a month. Thanks so much for stopping by! I thought about this one. Shaker card, Acetate card, hmmmm...around about midnight I had an idea that involved neither acetate nor shaker bits. I have a friend who could use a pick-me-up. I know she's been feeling like she is living under a cloud lately. Another Birthday card, I need quite a few at the beginning of the year. 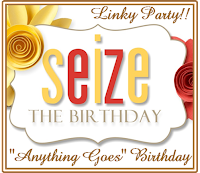 This card was inspired by Seize the Birthday's Anything Goes with a topping of Clean and Simple challenge. I may have veered off the CAS road--thankfully there is also anything goes for the challenge. I stamped and masked Hero Arts' Classic bloom, colored in several shades of yellow with copic markers, and added the sentiment a la Kelly Latevola style with a portion outlined in white to make it stand out against the flower petals. My finishing touches were ombre sequins from A Muse and a thing black strip along the left edge. 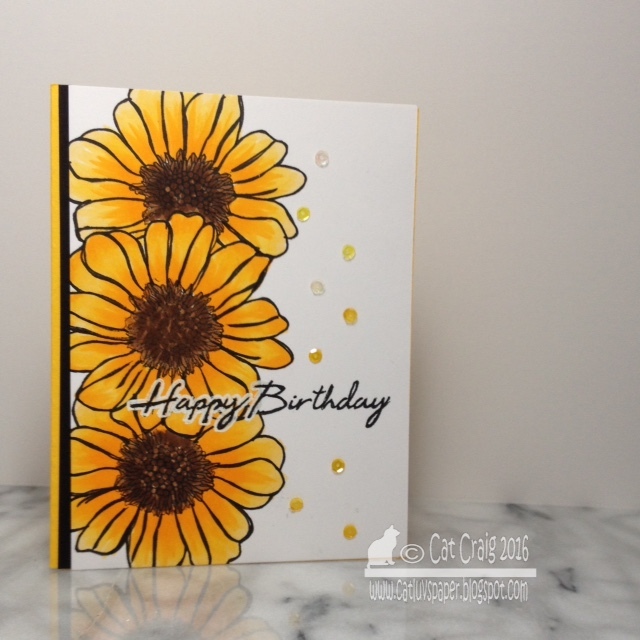 I mounted the front onto a yellow cardbase (stampin up). 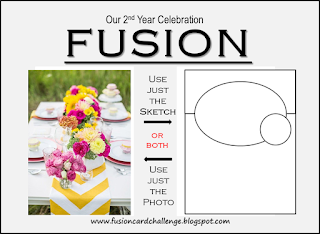 Such a fun challenge graphic over at Case this Sketch #155. I immediately thought of Simon's Stitched Flourish Ribbon to create that zag across the card front. I so struggled with this one, but I am posting them anyway. Thanks for stopping by, really thanks! 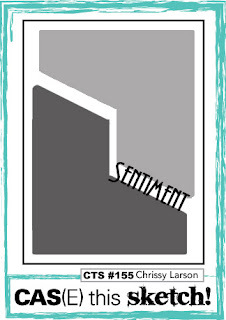 I am playing along at the Simon Says Stamp Wednesday blog, the theme is Ombre. Design team members are using Hero Arts products, and I spied a long neglected but much loved butterfly stamp on my wall. I grabbed a long neglected though much loved stamp -- Artists Butterfly along with a birthday sentiment from the Hero Arts set -- Say it All. The butterfly was stamped on a piece of coloring paper I had already die cut with Simons' postage stamp edge dies. I will admit I got the sentiment on crooked and after all that coloring to achieve the ombre, there was no way I was going to start over, so I just mounted it a bit wonky on a coordinating card base (island blue-sss) added some matching blue gems and this one's ready for mailing. 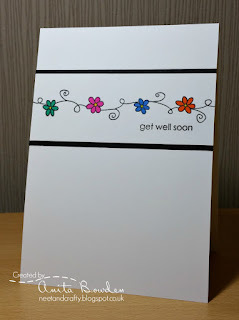 Anita Bowden has made us such an adorable get well card for this week's Muse Challenge...I just had to case it. 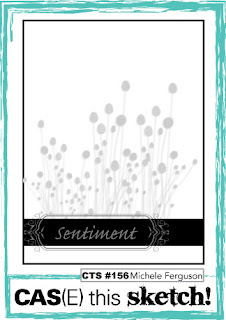 I found some small-ish flowers on a Simon Says Stamp set, and got out my journaling pen to doodle some lines connecting them. Then I colored them with Copics added a matching gem in each center, a bit of glitter tape and that's my take on her sweet card. The sentiment is from Altenew. Christmas cards, last year I had about 25 or so in my stash at the end of October. Between hubs, myself and my Dad more than 80 were mailed out. I did a lot of stamping, cutting and coloring in November. This year I hope to have to do less so I can breath! This week at Merry Monday # 187 the theme is Plaid. I have no plaid paper, I have had no luck creating plaid patterns, but then I looked at my wall of wood stamps and I found the Hero Arts Large Plaid Background stamp.To counter all those straight lines, I added some scallops. Seems like people all around are getting the sniffles or worse. I have quite a few get well, feel better type cards to make. This one was inspired by the Fusion Card Challenge. I went with the photo inspiration. I grabbed two A Muse sets Pretty Peonies and Everyday Greetings and went to work. I added in the Hero Arts tweed pattern stencil as well. I used inks by Simon Says Stamp - Green Leaf, Duckling, and Hero Arts Inks Butter bar, Lemon yellow, Bubblegum and a mis-died Passion flower (the correct color is more purple instead of the light pink) Versafine Onyx Black. Each of the darker flowers is winked up with clear Wink of Stella, and a few tiny gems were added as well. How is it that it seems it was just Sunday evening, and now I am about to ring in the wee hours of Thursday? When I was working weeks never ever went by this quickly! I really wanted to play Case this sketch # 154, its a great sketch -- so many ideas will work with this one. I am getting it in just under the wire. I combined two Simon Says Stamp sets (Cute snowflakes and Sending happy thoughts) along with some black, grey and red ink to keep it fairly simple and it needed a smattering of clear PPP sequins for balance. This might be a first. I am awake and crafting at 8 am eastern time. There is no scramble, no alarm clock, no reason I can think of that I would be awake a mere 4 hours after going to bed...and wide awake at that. I scrolled through the challenges I had saved but not played and found three that might play nicely together. I wanted a masculine card to send to my Dad. The sketch from Freshly Made Sketches #218 really caught my eye. This also was a really simple card to make so I am also submitting it to Casology #179 code word Simple. Lastly it is definitely a masculine card and anything goes at The Male Room #26. Man cards are often tough for me, but this one works and my Dad will love it. 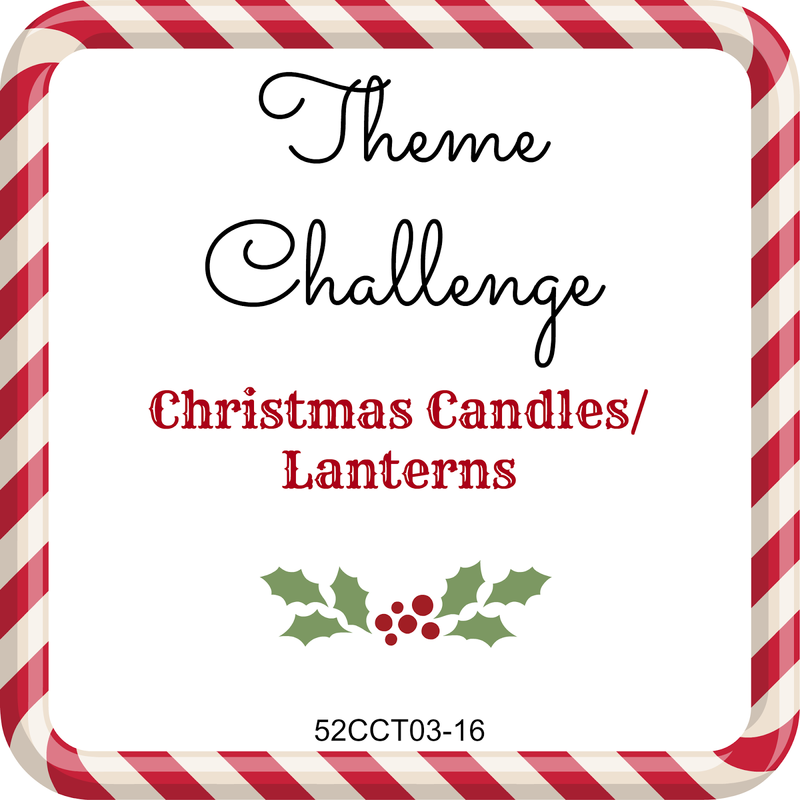 You can visit the challenges by clicking the written links or the icons above. Now I just might need a little nap! Have a great day and thanks for stopping by! Today I played in a Hero Arts Scramble. I have participated since October I think. I kept having conflicts. Today I had a bit of a conflict as well, but this was a 24 hour scramble so I opened the scramble discussion on the Hero Arts Group page in Flickr, and set the timer on my Ipad. Janet, our hostess, had a fun scramble for us. It was a formula or recipe challenge. There were two choices. I went with choice number one. I started a list of the cards I need this week. 10 were on the list, 6 were made yesterday. This is the first of two birthday cards I need, and it also meets the "anything goes" over at Seize the Birthday, so I am entering it there. Have a fabulous evening and thanks for stopping by! I had several more thank you cards to make, so I went back to the January Simon Says Stamp card kit. I used white card bases and the card kit contents supplemented by a Simon Says Stamp Thanks die, a Winnie and Walter Thanks Cutaway(die) and some Close to my Heart glitter tape. I am much happier with this set of cards than the first digging into this kit posted here. I think this is a record for me, 10 cards from one kit and I still have lots of paper, snowflakes tape, and glitter dots left over. This is a bit of an unconventional post. I came across an "article" while searching for something on the web. I bookmarked it and I think I am going to have fun playing with it this year. I have abridged the list below, but the full posting can be found here. Take a look at the list for yourself and see if something catches your eye. Thanks for stopping by, I will be back soon with some actual cards. Michele is back at it as this week's Muse. 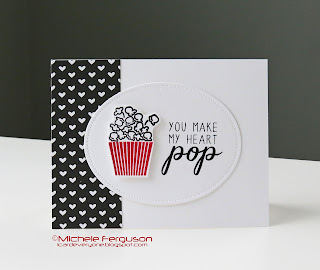 She's created a fun smart card in black white and red. I love that pop of red, and the oval center piece...those were my inspiration points. 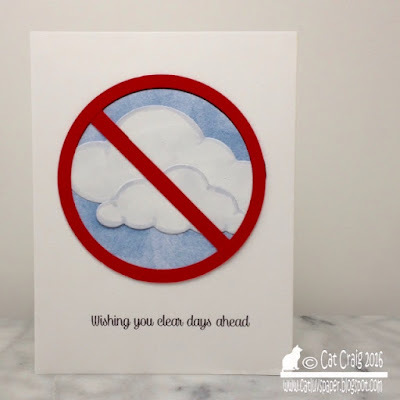 Both the stamp and the embossing folder are new to my stash, so this one is also going to Simon Says Stamp's Wednesday Challenge-Something New. Tuesday I had my play day as I call it with the crafty ladies. We meet most Tuesdays at the home of one of the gals - she has a fabulous space that holds 8 comfortably. I will usually prep before going with pre cut stamped panels for cards, sometimes I crochet, and soon I might work on some scrapbook pages -- I am about 18 months behind. I finally brought some of my favorite scrappy items back from California this last trip and am looking forward to catching up. 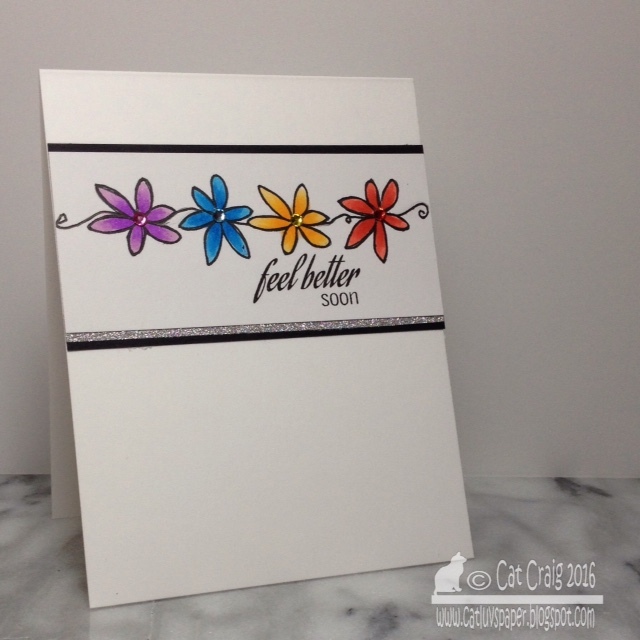 This week I played with a new stamp set from Altenew - Fresh Freesia. I love the smell of Freesia's and that they come in so many different colors. Endless card possibilities. I know its still winter, but I need to color flowers! I made one card for a challenge it is posting tomorrow, and made these as well. The last two are my favorites.